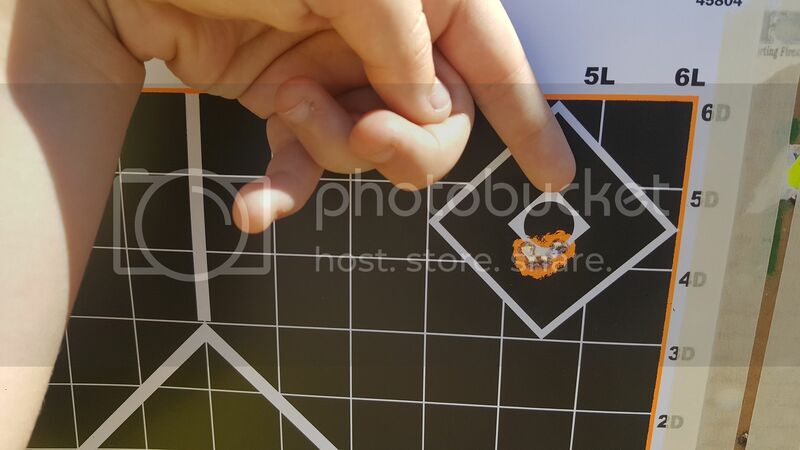 Less than 0.5 MOA, SD of 5. Rye how hard is the forming of the brass, do you run it thru the expander die. This might be my next project when I shoot my 260 out. For the reamer you used, was it the 6.5 SLR, or the 6.5 SLR/S? Looking at your COAL and length to ogive, I think the 6.5 SLR, but want to verify. I am in the process of building one now, and will start load development early next year. [HR][/HR]Mine is closer to the regular (long) SLR print. I used .298" neck for clearance, loaded cartridges using unturned Winchester brass measure .2945" neck diameter. All the above loads have the bullet above the neck-shoulder junction. What does one of your empty 6.5 SLR Winchester brand brass weigh? My Remington brass weighs in at 163.2gr. +/- 1 grain. Lance have you ever tried Varget I have a ton of it and while I know it won't be the best I would like to use it up not to mention 4350 is like finding a unicorn. [HR][/HR]Redding dies are only available through 6mmar.com as far as I know. Just go to the site, get the phone number and call. I ordered my reamer and gauges through Pacific Tool and Gauge. Personally I prefer the Whidden dies, having used both. If you go with the Whiddens, be aware they do not come with a tapered expander so you'd need to buy an expander (I like the Sinclair Gen 2) if you want to neck up from 243. I have not tried Varget. But I have a bunch for my .223. I have pretty much refined my load. 43.8gr. H4350 @ 2910fps average over 20 shots +/-8fps. Berger 140 HVLD seated .0300" off the lands. Shoots in the mid .2s so far. I have about 400 rounds down my barrel so far, and have made a few minor changes to my loads. Once the break in was complete, the barrel sped up by about 50fps. Neither of these are max loads in my gun, but crazy accurate. Hello! I have been thinking of this cartridge for a long time. What is the best brass too use, Rem. 260 or the 243 ? 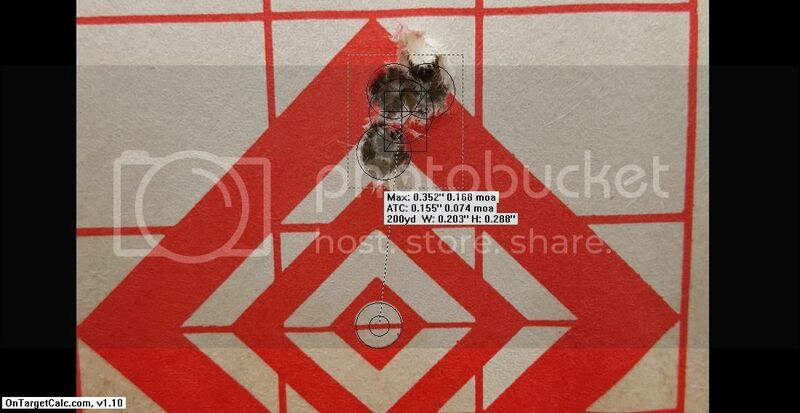 I now shoot a 260 Rem. Thanks ! You can use 243, 260 7-08 and 308 as long as it is not thick brass like Lapua. You can use it but you will have to neck turn because of the donut. If you have Remington of Winchester brass already, use it. You will not need to turn the necks. Any other brands require turning necks after the first firing or you get a donut from thicker shoulder brass than neck brass. H4350 has worked very well for me. Good velocity with amazing accuracy. Very temp stable from 108°F to 22°F. Resurrecting an old(-ish) thread here... just wondering if it would be worth having my existing Savage (pre-fit) barrel re-chambered from 260 Rem to 6.5 SLR... I haven't been able to find much information in regard to what kind of velocity increases could be expected from this "upgrade"? On a side note, can we PLEASE enact an Internet law that whenever someone discusses loads and/or muzzle velocity, he's required under penalty of death to disclose barrel length?? The folks in this thread have been great about this, but FFS, everyone... load data that includes MV is absolutely useless without including the barrel length*. *Yes, I know that it's entirely possible for two barrels of a given length to offer noticeably different MVs, with all other variables being the same... nonetheless, offering load/MV data without barrel length is akin to saying, "I made a million dollars". You made a million dollars... so far this year? Great! Last year? Good for you! On the sale of your home? Congratulations! Over the last decade? Not bad, man! Over the course of a 50 year career? Ohh... that hurts. You will need to set back the 260 to make it an SLR. The shoulder of the SLR is moved back to get the long neck and 30 degree shoulder. The same load in 2 rifles with 24 inch bbl is at 2785. MTETM- I appreciate your response... I was afraid of that. I might end up just waiting until my current barrel is shot out. Thanks again, man! [HR][/HR]Any idea how this compares to the 6.5 competition match from LRI? I know the 6mm comp match is a 243 with a 31 degree shoulder essentially. Is this a slightly altered 260? The ol' Google machine doesn't tell me anything regarding the 6.5 comp match, was hoping to find some info here. Not sure what the 6.5 Comp Match from LRI is like, but I do know the 6.5 SLR. 6.5 SLR uses the .308 parent case (.243 Win or .260 Rem work the easiest in a single step). Body length remains the same as the .260 Rem. for the most part. One throw of the press sets the neck to shoulder junction back, and sharpens the shoulder to 30°. Resulting in the same shoulder/neck design as the 6.5x47 Lapua, a cartridge known for it's accuracy potential. Final fire forming completes the new case design. I don't think you will see any velocity gains over a .260 Rem like a .260 AI would produce, as you actually lose just touch of case volume with the SLR design, but gain some efficiency and inherent accuracy potential. Does anyone know what the head space dimension is for 6.5 SLR? I'm having a new barrel chambered and my smith wants to use a piece of brass instead of a set of gauges. I want to make sure my brass is the correct size after forming. PTG customer service is horrid. I recently loaded up some 95 V-Max using Benchmark in my 6.5 SLR. 3500fps into high .100s. Should put a whooping on coyotes when I get a chance to get out. Scouting season has started, so I hope to lay some coyotes out through the summer while looking at elk and deer. 95gr VMAX at 3500fps? Near explosive shallow wound? Has anyone built a 260 AI ? , I'm thinking about a re-barrel and like the idea of a 260 SLR or AI . What are the pros and cons of these two cartridges ? My goal is at least 2,900 fps with 140g bullets out of a 26" tube on a FN SPR SA . I may go the 260 TIKKA route if it turns out to be more economical . Any advice will be greatly appreciated , Thanks ! Lance & RyeDaddy what is the round count on your SLR's ? I am at 934 for round count in about 17 months in my 6.5 SLR. Shallow? The coyote last weekend didn't seem to think so. It was like he was struck by lightning. No major exit would, but about 20 pinholes on the offside. The entire cavity was filled with jelly. Anyone have any thoughts on IMR 4955 with a 140 eld in 6.5 SLR? My 14 year old daughter is the luckiest applicant I know. She drew an AZ Kaibab 12AE late rifle mule deer tag this year. AZGFD likes the Kaibab and AZ Strip hunters to use non-lead bullets to help with the California Condor reintroduction. So we are working up a new load using the 127 Barnes LRX specifically for this hunt. With nothing but charge weight testing, we have already found a very acceptable load. Should be plenty for mule deer out to 500-600. The rifle was rebarreled by West Texas Ordnance and is an absolute hammer, it has a 1-7 twist 22" Broughton 5C barrel and I run a Harvester. The above loads have been verified out to 1030 yards, as a side note if the Norma's could be found that is all I would shoot. what was your 130 norma speed? Has anyone tried the Lapua Palma brass and neck turned it? I would think it would last forever like 6.5x47 brass. I am considering the SLR for my next barrel on my Tikka CTR. I am considering a 24-26" since I run a suppressor. I am not set up to neck turn yet, but I have quite a bit of Lapua 260 brass on hand. I ran the Norma Golden Targets in my 260 and my son's RPR. They are very stable when they go trans-sonic. I have them on back order at a few places. Our barrels are going about 2500 rounds. This is with moderate loads. We shoot 140s at 2825 from 26 or 27 inch bbls. The same loads are in the 2780 range with 23 to 24 in bbls. There is room to push the velocity, but we have not seen any reason to do so. The rifles are extremely consistent and we don't worry about pressure issues when the weather changes or shooting in the rain. Even though WW brass is cheap, we don't see a reason to waste it.. The load we use is between 41.5 and 42.0 H4350. Somewhere in the 1200 round range and again at 2K this load needs to be bumped up to retain velocity. We use either Russian primers or CCI 200. With these loads we are over 10 loadings with WW243 brass. The same rifles 26-27 barrels shoot the 130 Berger, either the vld or the hybrid in the 2930 fps range at 43.5 grs H4350. The brass is simple to form. 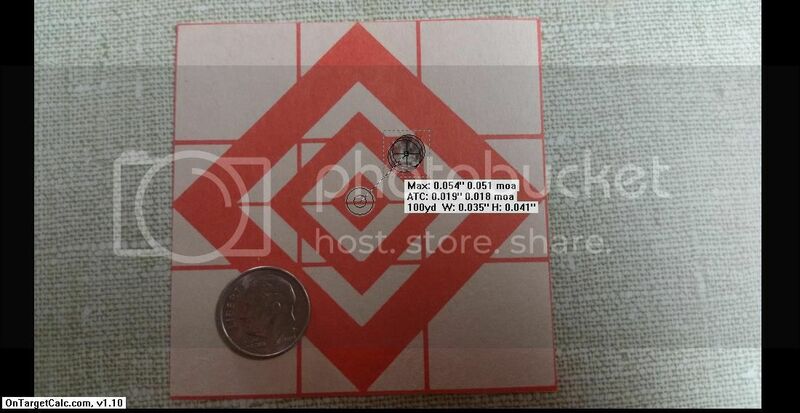 Just run new 243 into an SLR FL die, load and shoot. We do not change our load for FF, and we have shot FF loads in matches without any issues. We have played with Lapua brass, but I don't want to turn a pile of necks, not when the rifles shoot so well with WW. We built a rifle for a customer that uses Lapua 308 palma brass. It was neck turned a couple of times and his velocities are much greater than what we shoot. It does work, it is a question of effort v. return. 1) I resized the brass with a Whidden bushing die, and got a donut. I tried Winchester brass, and also got a donut. My theory is that the Whidden die doesn't size all the way to the neck-shoulder junction due to the bushing, has anyone else experienced this? For the record I think they are good dies, I am having them make me a custom non-bushing die so that I can hopefully avoid this problem. 2) If I switch to H4350, would I potentially gain any velocity? 43 gr of IMR is pretty close to a max load in my gun, I'm getting a sticky bolt, primers are still fine though. 3) One of the biggest challenges that I have experienced with this gun is the OAL. I am limited to 2.880" as I am feeding out of a mag. The SMKs seem to be a decent choice, because I can still seat them off the lands a couple thousandths and my OAL is at 2.862." The only problem is that the SMKs are seated deep, right to the neck-shoulder junction, and are definitely a "compressed load." I have flirted with the idea of using the 130 gr Berger AR tactical bullets, as they are approx 50 hundredths shorter and would allow me to seat the bullets the same distance from the lands, but without having to compress the load. G7 BCs are comparable between the 2 bullets. I am curious to hear your responses. Okay first I use Whidden dies and have not had a problem with donuts at all using Winchester or Remington brass you are using Hornady one shot when you are resizing? Second H4350 is pretty much the standard for all of the 6.5s you can get more speed by going to RL17 but lose some temp stability, as far as your COAL did your smith use the short or long reamer. The short reamer which is what mine is chambered with is for magazine fed rifles so there is no way I can get 2.9 all of my loads are 2.8 plus. Right, the donuts are the weirdest part, because most people I talk to that use the Winchester brass don't have any problems, I've only heard of one other. I'm using the Imperial Case sizing wax. The smith used the short reamer, I've tested and re-tested with the Hornady headspace gauge and I keep getting an OAL length of 2.804 (yes it changed from the first post, I didn't have the hornady headspace tool then) for Sierra SMKs, which isn't bad, it's just that it's seated a little deep in the case. The Berger 130 AR hybrids are at 2.820 when I last checked, but that works out a little better because they are a shorter bullet and don't go as far back in the case. I've got a full length Whidden die coming and I'll update then. I was just wondering what everyone's experience was with this cartridge. Still loving my 6.5 SLR....when I can pry it from my 14 year old daughter's hands. She took her buck with mine this year at 637 yards. One shot, pushing a 127 Barnes LRX @ 3050fps, and the buck dropped instantly without a single twitch. Wanted to resurrect this thread and post some of my recent experiences with the 6.5 SLR. I turned a barrel for my AI AX - a 26" Bartlein, med. palma contour. I bought the "short" throated 6.5 SLR reamer and hand reamed the throat specifically for 142 Sierra Match Kings. The boat tail sits just above the neck / shoulder junction with the bullet seated .02" off the lands. I bought Whidden's dies and formed my brass using new Win. 243 brass. I loaded up 50 rounds with the 142 sierras and 43 grains of H4350. Accuracy was good, even with the un-formed brass. I ran an OCW test today with the prepped / fire formed brass and was very impressed. Everything was under 1/2" except one group, with a very clear node at 44.4 grains of H4350. Absolutely no pressure signs, the primers are nice and round and no ejector marks. Just a little tweaking and this thing is going to be a hammer. I didn't chrono these today because I was running the OCW test, but based on my other chrono results, I estimate this load to be somewhere between 2950 and 3000. I am very impressed with this cartridge. This load will give some nice numbers out well past 1k yards. Anyone else start messing with the 6.5 SLR?? I Don't know if I could get those speeds,I went with a 22" Broughton and I shoot suppressed 100% of the time so I wanted a shorter barrel. Not too many 260ai's in here. I went up to 49gr of H4831sc and got 2860 with no pressure signs but ran out of room so I went back to H4350. Anyone shot the 260 Terminator by Defensive Edge? Lapua 260 brass, neck turned to .014", trimmed to 2.015". 308Gunner did you ever get MV's for your loads? Win brass. Just got some Alpha 260 small primer brass. Resized like a dream. Hopefully will get more resizes. Can you tell me the neck thickness of the brass and did you have any binding in the chamber at the case head? Did you turn the neck/shoulder junction? Can't get the neck thickness right now as all have been loaded. No binding like I got with the other brass. No turning done. Loaded and shot 10rds yesterday. Justed loaded the rest this morning. Trying this brass primarily to get better life without the primer pockets opening up. The brass seems pretty consistent, all within 8/tenths of a grain, weighing around 175 grains a bit heavier than the win and rem brass. 260 30* Improved (Whitley design) i realize this isnt a popular choice but wanted to add it.....just because. still in the early stages of working up loads but here is some of what ive got. this load is with virgin 260 brass doing pseudo fireforming, meaning that you can run factory 260 or 260 handloads without changing anything. just load it and shoot and out pops 260 30* brass. this seems to be the ticket with zero signs of pressure, still tinkering with H4350 but the RL16 works well enough. this load is very accurate. i would have no problems running this in a match and probably will to blow out brass when need be. * i ran a little H4831ssc but couldnt get any real velocity without over compressing. ran a box of brass to form with it and practice. not worth pursuing. formed brass loads w/ the above components. the forming load of 42.8 would shot just as well as the accuracy node is in that area. havent really come up with anything concrete yet but its looking like 44.0 at the top and accuracy will be at 43.6-43.8. the 44.0 load ran 2980fps sd:5.
seemed pretty fast and had pressure much earlier. 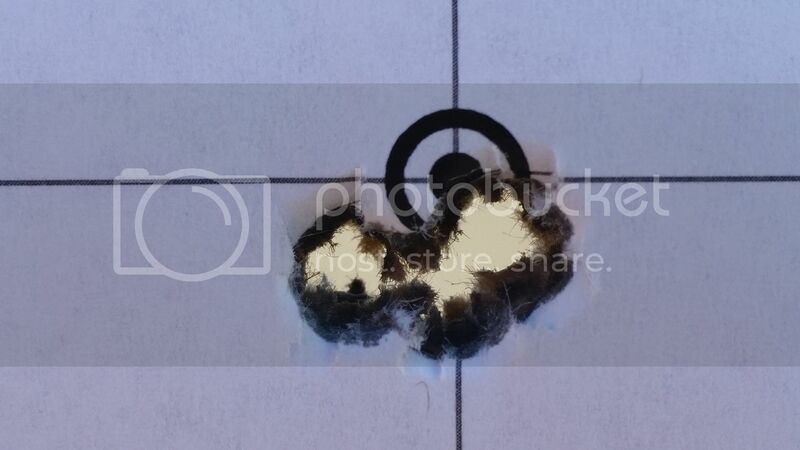 40.0gr produced 2919fps with an SD of 1(thats not a typo) and that was the top end, probably wont pursue that powder either as pressure came up quick. ill edit as i do more work. 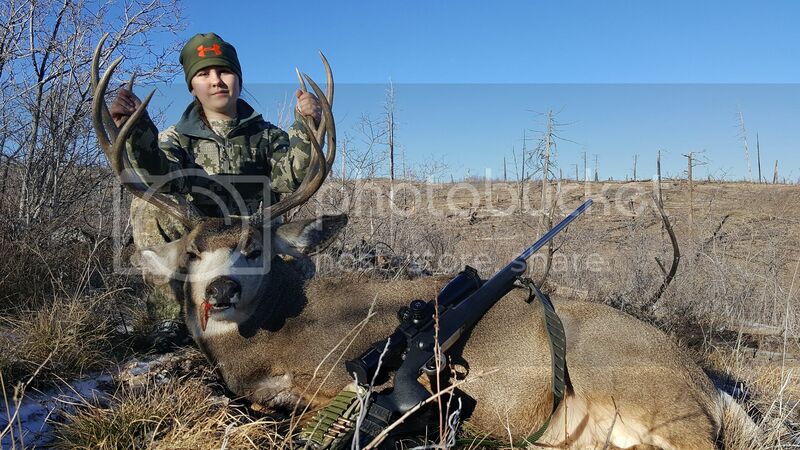 6.5x47Lapua, 6.5 Creedmoor, 260 30* Imp. 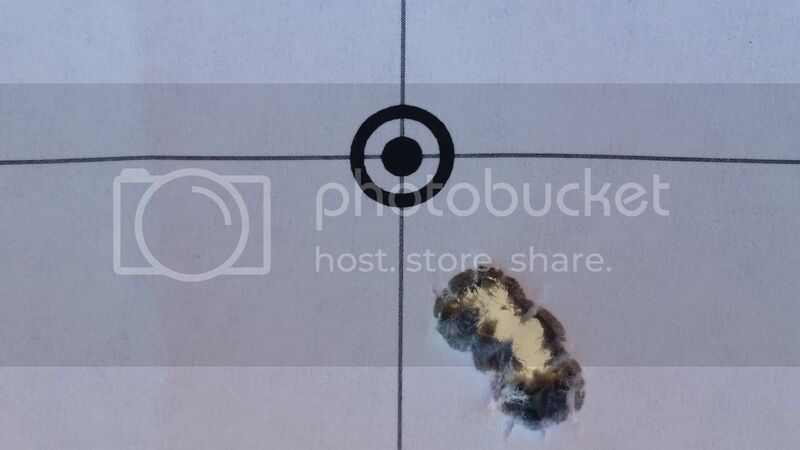 I worked a load up with the Nosler 130 RDF that is shooting good,40.3 gr of Varget loaded at 2.845 I am going to load up 100 and shoot to get some velocity numbers. I am using Winchester brass and Wolf primers. 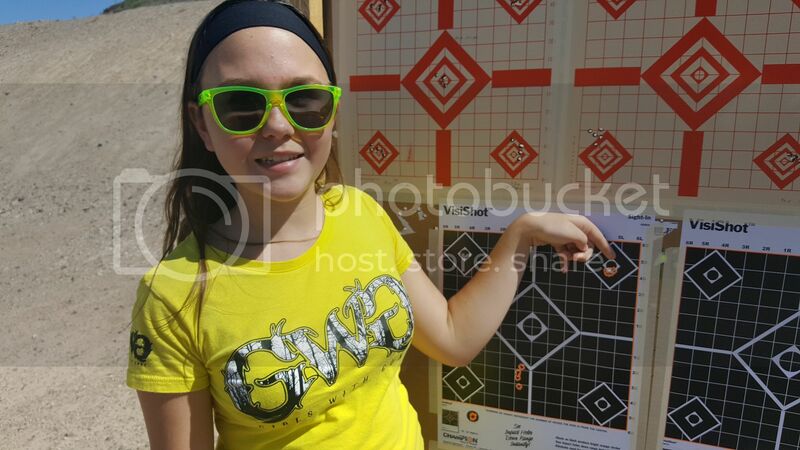 My 14 year old daughter shot this 5 shot group at 200. Then, she took this buck at 637 yards with a single shot. Took out both front shoulders and shattered a vertebrae. Buck dropped like a sack of hammers. I just got some Peterson SPR 260 and sized it I have to get some small primers and then I M going to work up a load, brass sized likes a dream and has a .291 neck after sizing . Man, there is no neck on that case! This is much more extreme case of short neck ,good enough for some BR records. Anyone working with the 6.5 heavies? I’m dusting off my old 6.5 LRP barrel and a, going to play with Hornady 147s. I loaded the 143's and with 4 different powder charges they all shot under 1/2 MOA but after loading the 130RDF's with a .615 BC running 2922 I am done.